From diabetes to spinal cord injuries, stem cells have the potential to diseases and ailments of all types. Stem cells have become a beneficial option for patients with back problems. Advances have enabled spinal surgeons to use stem cells to treat patients helping in the regeneration of degenerated discs, healing spinal cord injuries, and helping bone growth in spinal fusions – according to a study in the World Journal of Stem Cells. Stem cell injections are also a viable option for patients suffering with lower back and leg pain. There are multiple types of stem cell procedures: embryo, fat, and bone marrow. Dr. Castillo uses both exosomes and fat cells for his procedures. Exosomes are cell-derived vesicles present in many if not all-eukaryotic fluids including: blood, urine, cerebrospinal fluid, and cultured medium of cell cultures. Stem cells from fat cells are called adipose stromal vascular fraction stem cells. 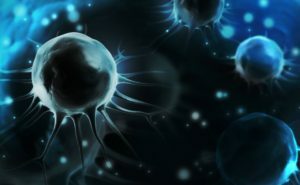 These cells pluripotent, meaning they have the ability to become various types of tissues, as well as being regenerative having the ability to repair and rebuild damaged tissue. The concentrated stem cells can offer pain relieve, accelerate the healing process, and improve overall function. In the case of SVF cells once the collected sample is extracted, it is filtered and a centrifuge separates the stem cells and makes them viable for injection into the injured site. The procedure is a minimally invasive outpatient procedure that takes roughly one to two hours start to finish. It’s recommended patients be between the ages of 20-70 years old since the quantity and quality of stem cells declines as we age. Stem cells can be used to treat osteoarthritis, joint pain, low back pain, and other conditions.